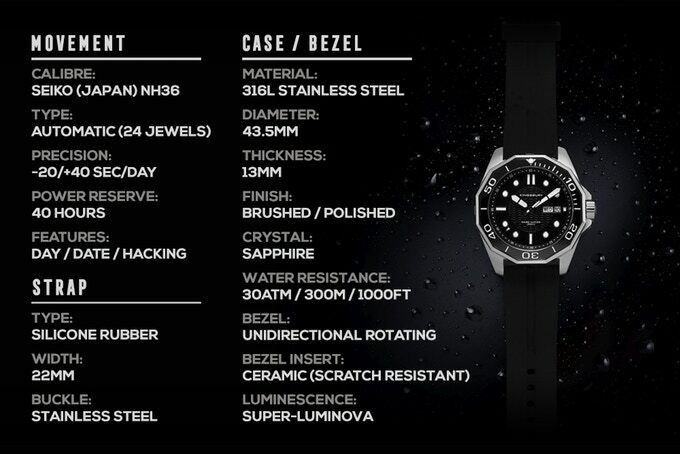 Just spotted this recent Kickstarter launch...the Dark Water 300, which sounds like a Roger Corman movie title to me. Unfortunately, all 40 slots for the Super Early Bird Pricing are gone, but still a good amount of the regular Early Bird slots available. $209 for the Early Bird pricing. Honestly, can't tell what the regular pricing will be once Kickstarter is over. 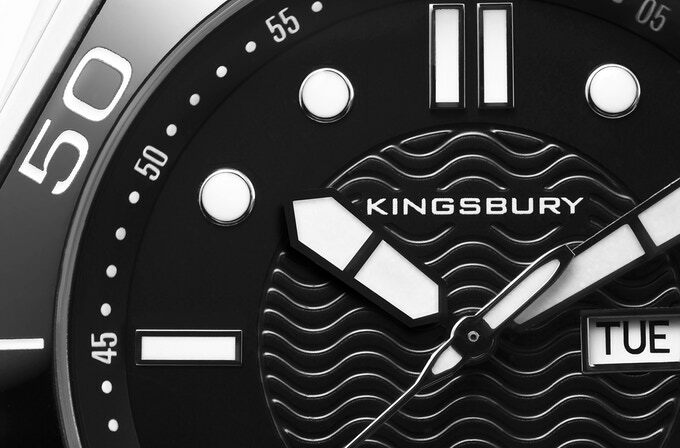 Not familiar with the brand, Kingsbury Watch Co, but this is quite the unique offering for a dive watch. Last edited by TheJohnP on Mon Apr 15, 2019 10:53 am, edited 1 time in total. Thanks for sharing. Looks great. In for 1 for now. Wow. Very smp like. 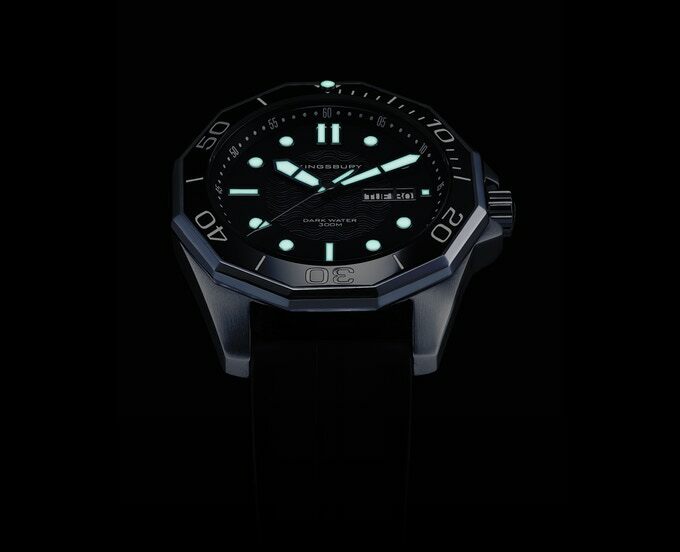 How can they make this watch for that price? I suspect the early bird pricing is just slightly above cost. I can't imagine they'd lose money charging that amount! It’s crazy. 3rd day into the project, they are offering another free strap. That’s 3 straps. Plus, if they hit 38k in finding, we get another 5 straps. 8 straps, folks, for less than $210 currently. You guys are the worst. 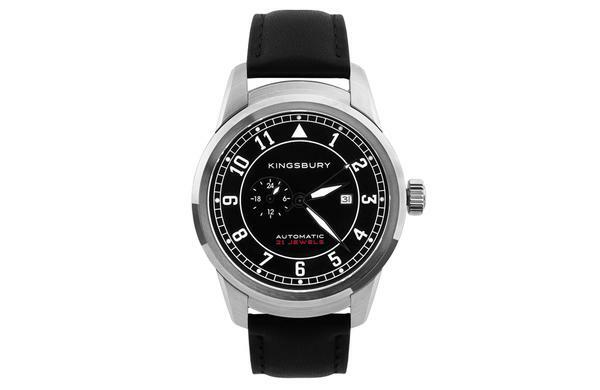 Had more or less convinced myself that I didn't need this watch...aaaaaaand in for one. As someone said above, definitely SMP-inspired but infused with something else. SMP meets Tag Aquaracer, perhaps. I'm really digging this one. The hands don’t seem to match the rest of the package in design and quality, in my opinion. It has a lot of potential though. The bezel is just awesome. I won't be surprised though if we never see this watch. It's just too cheap. If there is one snafu I can't see how they have the funds to operate. Perdendosi wrote: Fine. I bit. Talk about cheap. They hit their stretch goal and now the watch comes with 8 straps. How are they keeping afloat? They're selling a 4 watch set for $140 on their site. Oh just saw that the creator posted l2l: 52mm. I knew the watch was big but thought the lugs we're shorter. That may be too big for me. Same. 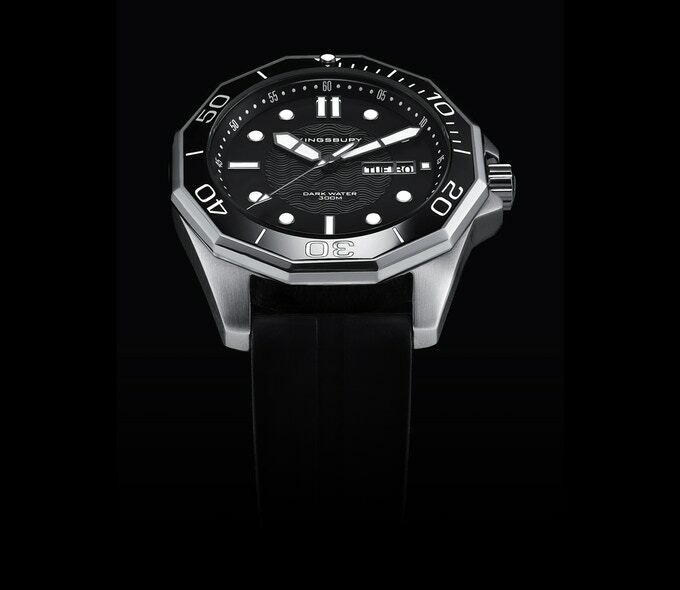 I really like this one and would be in 100% if it was 40-42mm. At this diameter plus 52mm L2L I have a feeling it would just look clownish. I keep coming back to this. I've backed it but I can't help think I'm missing something. The price just seems too low, but these guys appear to have run a couple of successful campaigns already, so should know what they are doing. Am I missing something or has my frame of reference just been skewed by other brands' pricing?